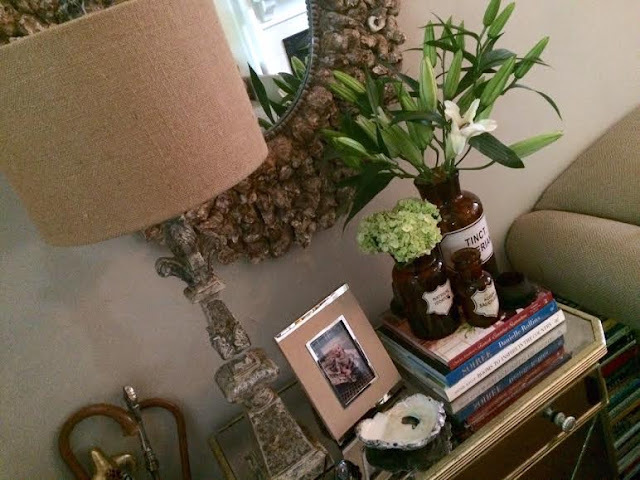 Apothecary jars & fresh blooms! Yes! Both make me very happy. 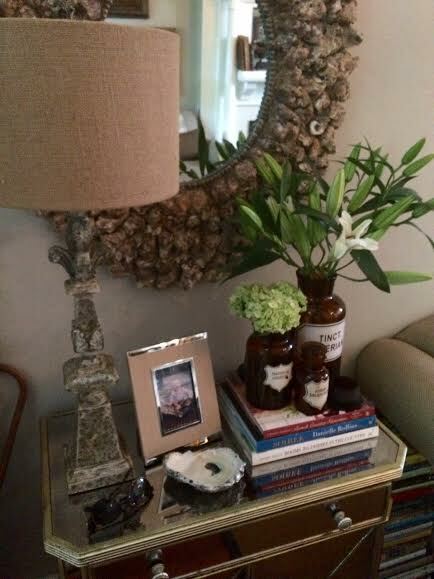 I recently displayed three of my brown apothecary vessels on the entrance chest and added a bouquet of my favorite white lilies and green hydrangeas. I cannot wait for the lilies to open up and fill the parlor with its intoxicating scent. 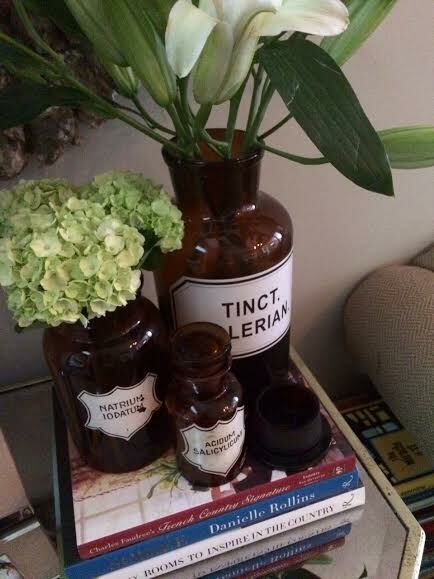 The newest apothecary jar is one of a pair I purchased on my recent trip to Seattle from Timothy De Clue Collection. I adore the vintage look of the jars, and each makes a great vessel for displaying seasonal blooms. The newest jars are a large 2500 mL and will make for great displays seasonally. Love the display. I, too, use nontraditional containers for flowers all the time. These will be great in the fall! Super cool! 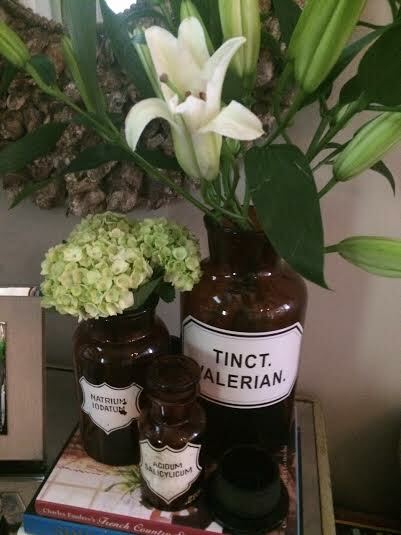 Love these apothecary jars. I love the look of those jars. They also seem appropriate for you since you're a science teacher! Don't you teach 8th grade? My son will start 8th grade this year. Very pretty Ron...love that beautiful mirror too!! The apothecary bottles look great there. I bet those lilies are getting prettier each day!